Keyboard-tablet. The little Miix 10 wants to be a tool for devoted Windows users: the advantages of a tablet's mobility but without having to rethink operations. The manufacturer adds a keyboard-case in the box so that typing emails is normal routine. The competition cannot offer this for less than 500 Euros (~$666). Lenovo's Miix 10 is a mid-priced full Windows tablet. It has a nice size and offers a slightly better screen than most in this price range but there just isn't enough to really distinguish it from a number of other offerings. In fact, the best feature is the fact that it has a dedicated power connector that means it charges much faster than most tablets that use USB charging. 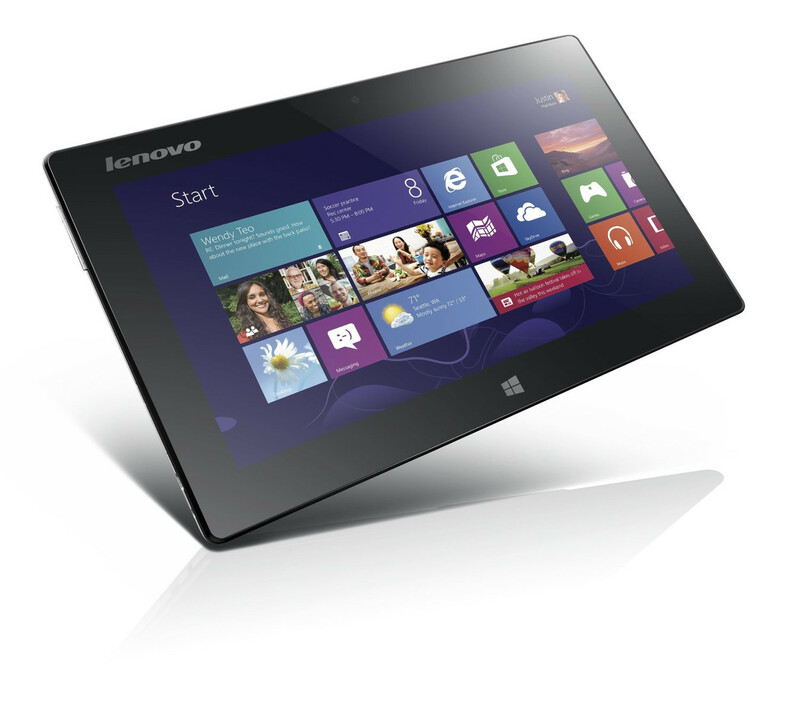 The Lenovo Pad Miix is a Windows 8 tablet with a keyboard that is remarkably slim and light. As it is less than 1 cm thick and weighs 0.6 kg, it is an extremely ultra portable Windows 8 device that is perfect for light tasks. With a understated black bezel and silver back, it looks nice enough and it certainly feels well built. Its 10.1 inch screen features a 1366 x 768 resolution, which is unusual for a tablet and makes it extremely tall in portrait orientation. It comes with an aesthetically minimalist case that houses the keyboard and folds out into a dock that holds the tablet in place with magnets. The keyboard does not feature a touchpad and since the only micro USB port is used to dock it - the only way to connect a mouse is through Bluetooth. The power of this device comes from the Intel Atom Z2760 processor, a 1.8GHz dual-core chip. This is decent for most Android tablets, but in Windows 8 there will be instances of lag during multitasking. A 64GB SSD hard drive allows the Lenovo IdeaPad Miix to wake up extremely fast, and the microSD slot allows you to add more storage if necessary. The battery life is decent enough when compared to the competition, lasting about 10 hours of light use. At the end of the day, the Lenovo IdeaPad Miix is a nifty little device but the lack of a second USB port or touchpad and the price point just make it a bad choice.